We are delighted to publish details of our second event in New York taking place at the Church Club, St Paul’s Chapel, 209 Broadway on Thursday 15th March. 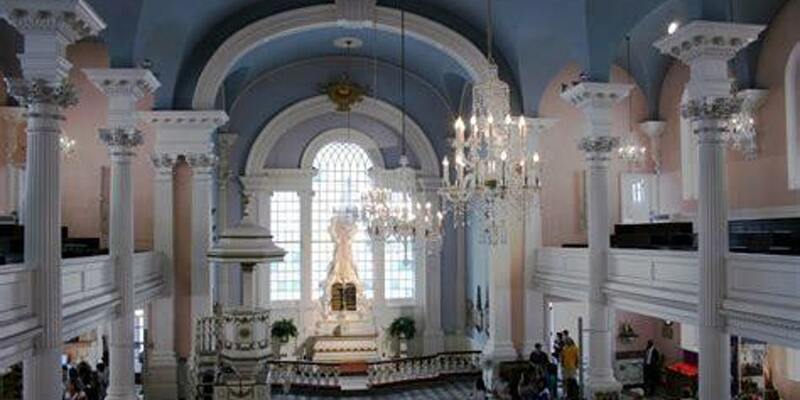 The evening will start at 6:00pm with a recital on the Chapel’s newly installed Noack pipe organ. This will be followed by a panel discussion on the role of libraries and archives in the 21stcentury with Ann D. Thornton (Vice-Provost and University Librarian for Columbia University), Peter B. Francis (Warden of Gladstone’s Library) and Joseph Lapinski (Archivist for the Parish of Trinity Church Wall Street). A brief worship service and reception will bring the evening to a close from 7.15pm. Please click here for more information about the program and full details of how to book. Please note that there is a charge for this event (unless you are a parishioner of Trinity/St Paul’s). If you wish to join us at the Century Association on March 13th but have not yet let us know, please email Annette Lewis annette.lewis@gladlib.org by Friday 23rd February.